Office 365 Archives - VIRTUALIZATION IS LIFE! 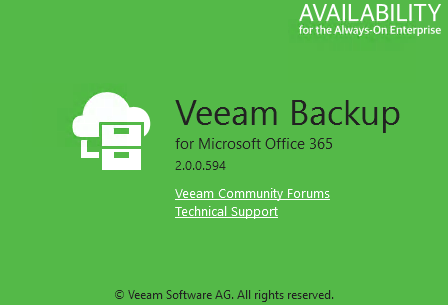 A couple of weeks ago of Veeam Backup for Office 365 version 3.0 (build 3.0.0.422) went GA. This new version builds on the 2.0 release that offered support for SharePoint and OneDrive as well as enhanced self service capabilities for Service Providers. Version 3.0 is more about performance and scalability as well as adding some highly requested features from our customers and partners. Version 2.0 was released last July and was focused on expansed the feature set to include OneDrive and SharePoint. We also continued to enhanced the automation capability of the platform through a RESTful API service allowing our Cloud & Service Providers to tap into the APIs to create scaleable and efficient service offerings. In version 3.0, there is also an extended set of PowerShell commandlets that have been enhanced from version 2.0. Understanding how best to deal with backing up SaaS based services where a lot of what happens is outside of the control of the backup vendor, there where some challenges around performance with the backing up and restoring of SharePoint and OneDrive in version 2.0. With the release of version 3.0 we have managed to increase the performance of SharePoint and OneDrive incremental backups up to 30 times what was previously seen in 2.0. We have also added support for multi-factor authentication which was a big ask from our customers and partners. Other key enhancements for me was some optimisations around the repository databases that improves space efficiencies, auto-scaling of repository databases that enable easier storage management for larger environments by overcoming the ESE file size limit of 64 TB. When the limit is reached, a new database will be created automatically in the repository which stops manual intervention. Apart from the headline new features and enhancements there are also a number of additional ones that have been implemented into Backup for Microsoft Office 365 3.0. Backup flexibility for SharePoint Online. Personal sites within organisations can now be excluded or included from/to a backup in a bulk. Flexible protection of services within your Office 365 organization, including exclusive service accounts for Exchange Online and SharePoint Online. Built-in Office 365 storage and licensing reports. Snapshot-based retention which extends the available retention types. Extended search options in the backup job wizard that make it is possible to search for objects by name, email alias and office location. On-demand backup jobs to create backup jobs without a schedule and run them upon request. For another look at what’s new, Niels Engelen goes through his top new features in detail here and for service providers out there, it’s worth looking at his Self Service Portal which has also been updated to support 3.0. There hasn’t been much of a change to the overall architecture of VBO and like all things Veeam, you have the ability to go down an all in one design, or scale out depending on sizing requirements. Everything is handled from the main VBO server and the components are configured/provisioned from here. Proxies are the work horses of VBO and can be scaled out again depending on the size of the environment being backed up. Again, this could be Office 365 or on-premises Exchange or SharePoint instances. Repositories must be configured on Windows formatted volumes as we use the JetDB database format to store the data. The repositories can be mapped one to one to tenants, or have a many to one relationship. You can download the the latest version of Veeam Backup for Microsoft Office 365 from this location. The download contains three installers that covers the VBO platform and two new versions of the Explorers. Explorer for Microsoft OneDrive for Business is contained within the Explorer for Microsoft SharePoint package and installed automatically. To finish off…It’s important to read the release notes here as there are a number of known issues relating to specific situations and configurations. Backup for Office 365 has been a huge success for Veeam with a growing realisation that SaaS based services require an availability strategy. The continuity of data on SaaS platforms like Office 365 is not guaranteed and it’s critical that a backup strategy is put into place. 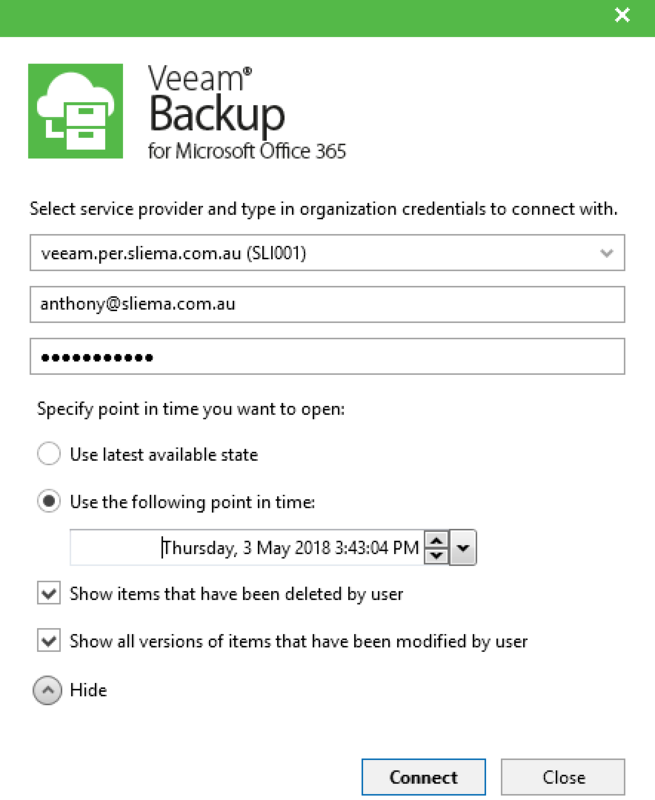 Earlier in the year I gave an overview on the Self Service recovery capability of Veeam Backup for Office 365 which gave Veeam Cloud and Service Providers the ability to offer self service to their tenants for the recovery of Exchange data that’s been backed up on their platforms as a service. Tenant admins communicate with the Service Provider via the Cloud Gateway component which handles flow of data. The Service Provider grants the ability to their tenants so that each tenant can perform self restore operations using Veeam Explorer for Microsoft Exchange. By default, tenants are not able to restore anything from the backup without a Service Provider assistance. 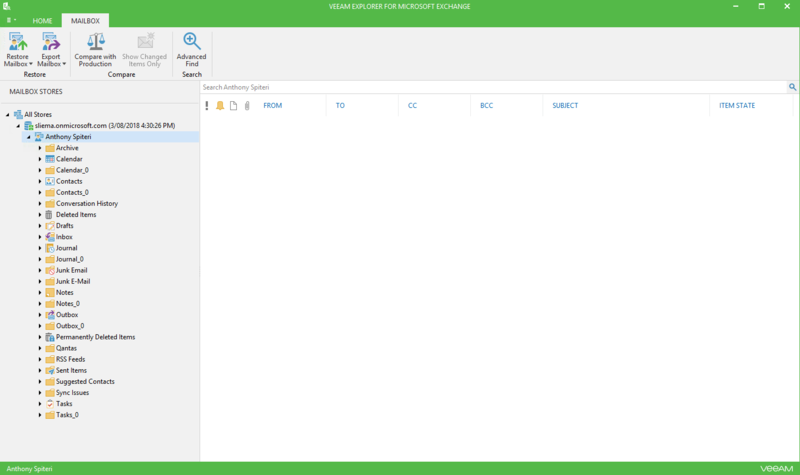 Tenants use Veeam Explorer for Microsoft Exchange to send restore requests via Veeam Cloud Gateway directly to the Service Provider. On the Service Provider side, Veeam Backup for Microsoft Office 365 management server detects a proxy server responsible for processing tenant data. Veeam Backup for Microsoft Office 365 management server locates an associated repository that contains a backup file that belongs to the Tenant. 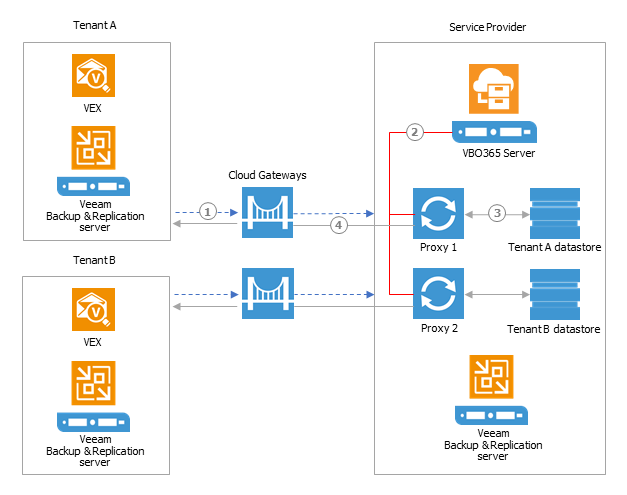 Corresponding backup data is then transferred back to the tenant via Veeam Cloud Gateway. As mentioned, one of the big limitations in VBO v1.5 was the fact you could only restore the most recently backed up recovery point which limited it’s usefulness for most administrators looking to take advantage of the feature. That’s changed in VBO v2.0 with the ability to now choose a point in time from the Explorers. This is true for both Veeam Explorer for Exchange and Sharepoint (Which also does OneDrive). Shown below is a Service Provider view of a restore operation for the Sliema organisation. As with the previous versions you have the ability to use latest or go back to a point in time. 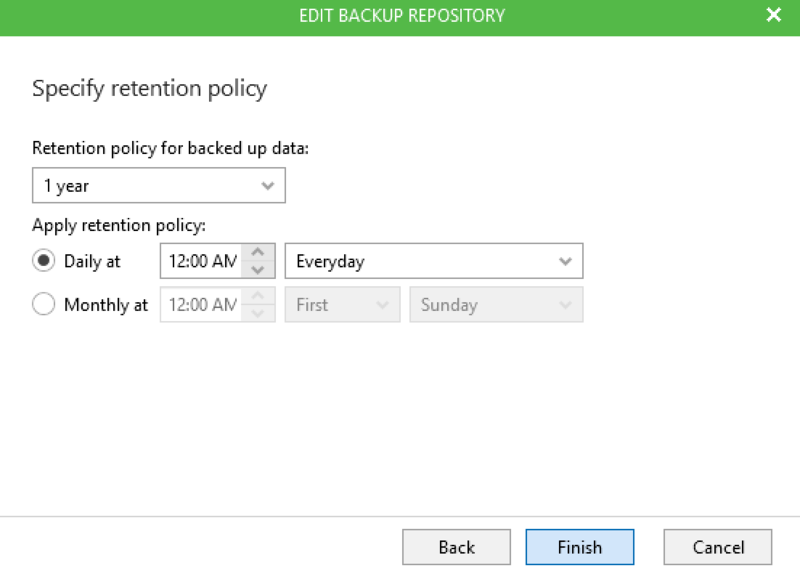 As a reminder…the retention is set against the Backup Repository in VBO. Organisations are assigned to Repositories which dictates their own retention. 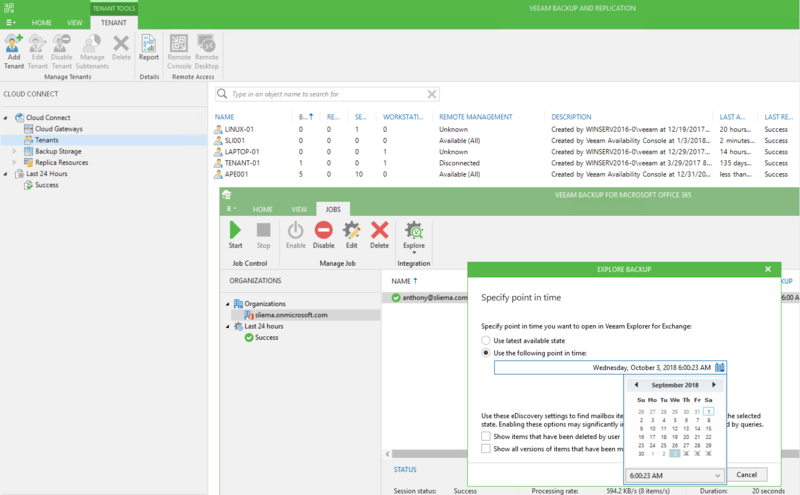 At the tenant end, once the Veeam Explorer has been launched and the Connect to a Service Provider option has been chosen, you now see similar options to either do the latest, or go to a point in time. If you go to choose a point in time that precedes the date of the first backup you will get the error below. Once a correct point in time has been selected the Self Service can begin. Shown below i’m able to go back to the 3rd of May 2018 restore point and perform actions on mail items. In this case, I was looking for a AWS Bill that I had deleted out of the mailbox and had gone way past my default Exchange retention settings. Back on the Service Provider end, you can see the active restore job session which is being facilitated through Cloud Connect. To reiterate, the market for Office365 backups is significant and we have built in some pretty cool technology into Backup & Replication that works with Backup for Office365 that allows easy, self service capabilities that can be productized by Service Providers out of the box. Not only can Service Providers offer services to backup client Exchange, SharePoint or OneDrive Organisations but they can also extend that to offer self service which increases overall operational efficiencies at the provider end while also offering enhanced services to clients. Last week we snuck out an important cumulative patch for Veeam Backup for Office 365 v2 bring the build number up to 2.0.0.567. The patch is actually fairly significant and I would recommend anyone running VBO to update as soon as possible. It covers Licensing, SharePoint and OneDrive, Group and Shared Mailbox fixes and enhancements as well as general server fixes. To download and install the update, head to the VeeamKB here. There are some important notes about the upgrade process depending on your deployment configuration. Execute VBO2.0-KB2765.msp as administrator on the Veeam Backup for Microsoft Office 365 server. If you use a remote VBO365 console and/or remote VBO365 PowerShell module installation, please contact technical support to assist you in upgrading those components. Not related to the update, but something that I had happen to me on testing the upgraded VBO instance was that when I went to perform a Self Service through the Veeam Explorer for Exchange or Sharepoint I had the following pop up. Once hitting ok, I didn’t have the ability to choose a Service Provider connection for the Self Service restore operation. This was the same for both Exchange the Sharepoint Explorer. Working with our support to ensure it wasn’t a regression in the latest patch we found an entry in the Explorer log files that pointed to the issue. Basically the issue was caused by the fact that I had an uncontactable Service Provider endpoint configured in the Backup & Replication Server. Once I removed the offending entry in the Service Provider section, I was able to reload the Explorers and have the ability to perform self service recoveries again. It’s probably something that won’t come up under normal tenant circumstances as I connect to multiple Service Providers from my NestedESXi Homelab instance…but something to take note of if the warning appears for you. 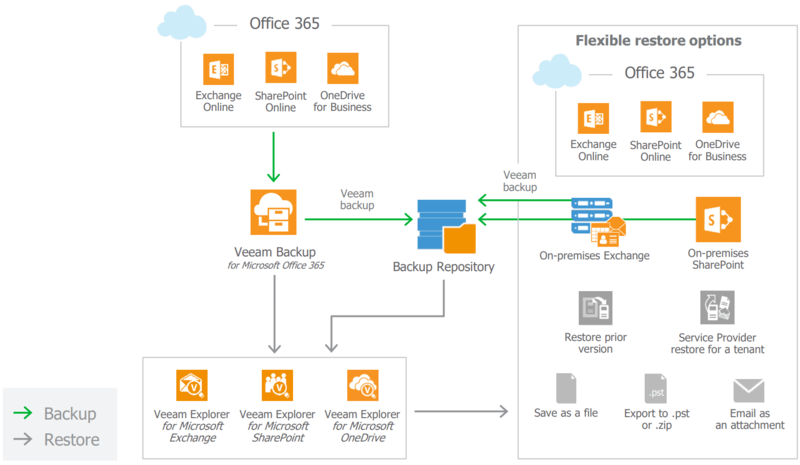 A couple of weeks ago we released version 2.0 of Veeam Backup for Office 365 which added support for SharePoint and OneDrive. 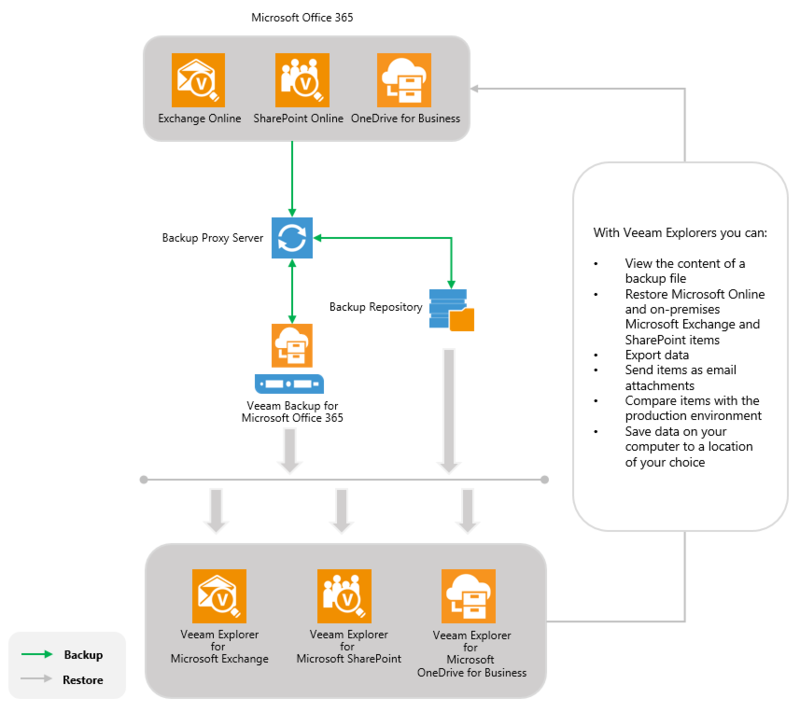 Earlier this year I wrote about the awesome self service capabilities that are included for Veeam Cloud and Service Providers in the VBO platform, and also the huge opportunity that exists in the provider space to offer backup service for Exchange. Add to that SharePoint and OneDrive and that opportunity only gets bigger. I’m putting together a couple of posts around the self service of SharePoint and OneDrive in the 2.0 release, but in the meantime this is a very quick fix post for those that might be getting the below error when trying to connect to service provider endpoints running VBO services for Exchange Online. To resolve this issue, then tenant needs to download the VBO 2.0 download package and install the new version of the Veeam Explorer for Microsoft Exchange that’s included in the release. This will update the existing Explorer version from that distributed with Veeam Backup & Replication 9.5. The awesome thing about getting the upgrade as part of the VBO 2.0 package is that for the 1.5 release where self service was first introduced, tenants had to wait for Update 3 for Backup & Replication to consume the service. Once this has been updated you can once again connect to the Cloud Connect infrastructure of the Service Provider that allows the self service recoverability function to take place. 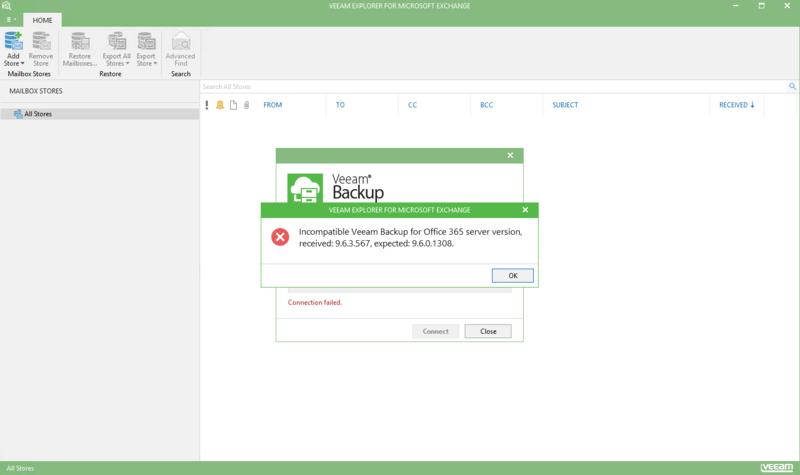 Last week the much anticipated release of Veeam Backup for Office 365 version 2.0 (build 2.0.0.567) went GA. This new version builds on the 1.5 release that was aimed at scalability and service providers. Version 2.0 adds support for SharePoint and OneDrive. 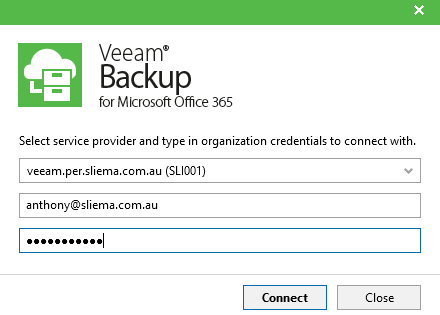 Backup for Office 365 has been a huge success for Veeam with a growing realisation that SaaS based services require an availability strategy. The continuity of data on SaaS platforms like Office 365 is not guaranteed and it’s critical that a backup strategy is put into place. Version 1.5 was released last October and was focused on laying the foundation to ensure the scalability requirements that come with backing up Office365 services were met. We also enhanced the automation capability of the platform through a RESTful API service allowing our Cloud & Service Providers to tap into the APIs to create saleable and efficient service offerings. In version 2.0, there is also a new set of PowerShell commandlets that have been enhanced from version 1.5. Office 365 Exchange was the logical service to support first, but there was huge demand for the ability to extend that to cover SharePoint and OneDrive. With the release of version 2.0 the platform now delivers on protecting Office 365 in its entirety. Apart from the headline new features and enhancements there are also a number of additional ones that have been implemented into Backup for Microsoft Office 365 2.0. Support for Microsoft SharePoint sites, libraries, items, and documents backup and restore. Support for Microsoft OneDrive documents backup and restore. Support for separate components installation during setup. 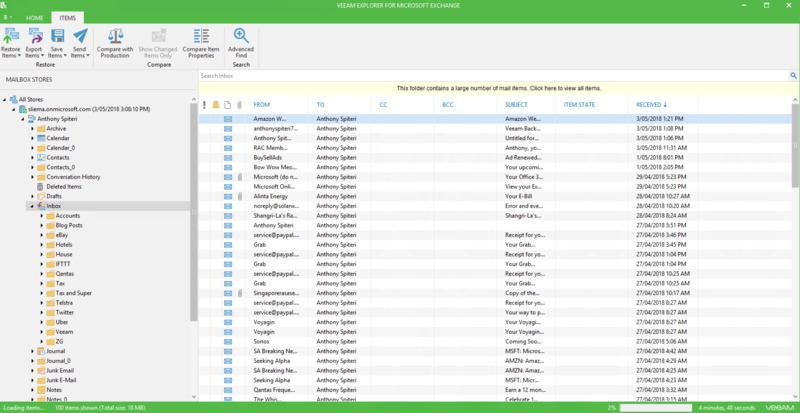 Support for custom list templates in Veeam Explorer for Microsoft SharePoint. Support for comparing items with Veeam Explorer for Microsoft Exchange. Support for exporting extended logs for proxy and controller components. We have also redesigned the job wizard that enhances setup, search and maintaining visibility of objects. 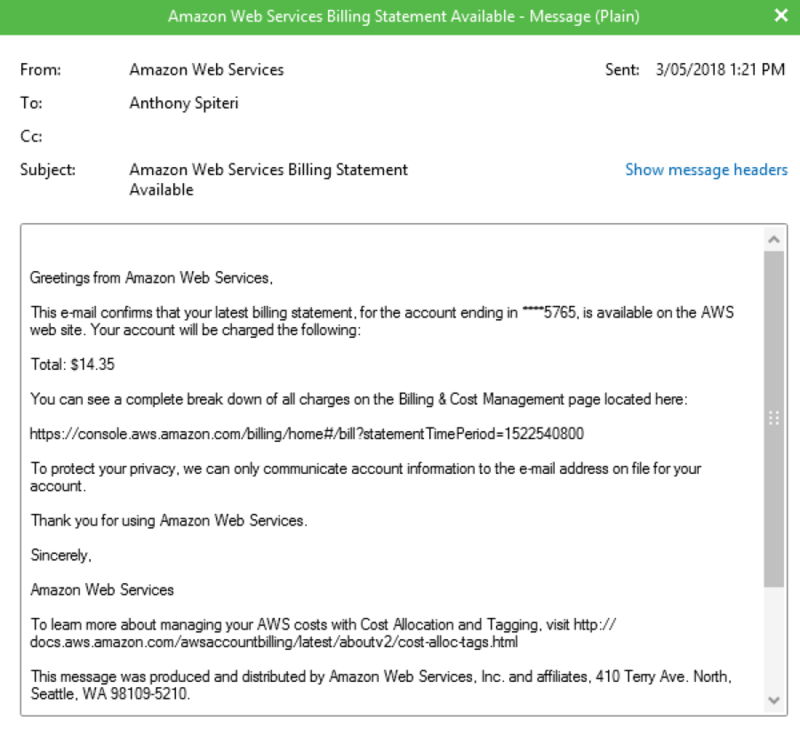 The API service is disabled by default, but once enabled can be accessed via a URL to view the API commands in Swagger, or directly via the API endpoint. In terms of licensing, VBO is licensed per Office 365 user in all organizations. If you install VBO without a license, you will trigger Community Edition mode that allows you to have up to 10 user accounts in all organizations. This includes 1 TB of Microsoft SharePoint data. The Community Edition is not limited in time and doesn’t limit functionality.